Sunday UPDATE: How about that Gatsby fella. Women donned their flapper outfits en masse, Charlestoning to Baz Luhrmann's lavishly grandiose re-envisioning of The Great Gatsby, resulting in a massive $51M opening frame — the third largest debut for a film not hitting the top spot. Gatsby's success shouldn't be shocking, it's been months since the last true "chick flick" (Nicholas Sparks' sapfest Safe Haven), and the Leo-led drama appealed to female auds both young and old, taking 60% of the seats. Iron Man 3 managed a still-strong $72.5M in weekend two, a drop of 57%, 7% steeper than The Avengers. Worldwide cume stands at $949M. And Tyler Perry learned the lesson of spacing as his Peeples became his biggest bomb, opening with a flea-sized $4.85M some six weeks after his last cinematic offering. David Alan Grier's acting career now returns to the freezer. Rinse and repeat. 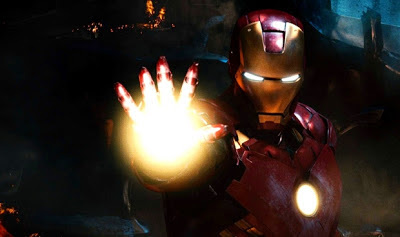 Iron Man 3 will own the box office for a second-straight weekend, though a precipitous drop's a lock — what'd you expect following the second-biggest opening of all time? While The Great Gatsby will outperform expectations, Baz Luhrmann's wildly-flamboyant, lavishly-grandiose cinematic rendition of "The Great American Novel" won't touch Tony Stark, but Warner Bros. will gladly take an opening in the low-40Ms range. Iron Man 3 $73.5M - Free-falling some 55%+ in its second frame, the RDJ-headlined threequel has already raked $200M+ stateside with an additional $600M overseas. One troubling sign? Whereas The Avengers banked $18M on the Monday following its opening weekend, IM3 managed just $11M. Is interest in the block-headed, aimlessly busy mess already evaporating? The Great Gatsby $43M - Counterprogramming at its finest. The WBs decision to slide Gatsby from Christmas to early May will be a boon for the Leo DiCaprio-headlined spectacle. Appeals to both older and younger auds, putting the female 25-54 demo squarely in its crosshairs. Tyler Perry presents Peeples $14.5M - Perry's second film in six weeks, though sadly not starring one of the Kardashians. 42 $3.5M - Keeps the ball in play with $80M in receipts. Pain & Gain $3M - Tremendous disappointment considering its leads — a paltry $36M in the roid-rager's first 14 days.